Reunited: An Investigative Genealogist Unlocks Some of Life’s Greatest Family Mysteries did not turn out to be the book I thought it would be—and that’s a good thing. I remembered Pamela Slaton from the documentary DMC: My Adoption Journey, which follows Darryl McDaniels of the hip-hop group Run-DMC on his quest to find his birth mother. In the film, McDaniels hires Slaton to help locate his mother after he repeatedly hits walls trying to find her on his own. What I didn’t recall was that Slaton is herself an adoptee. She weaves her own search and reunion story throughout Reunited, along with the stories of her clients. Doing so gives credibility to her commentary on the fears and motivations of the adoptees and birth parents whose journeys she chronicles. I had prepared myself for a dry guide on search techniques and instead was swept into the emotional chaos of reunion itself. 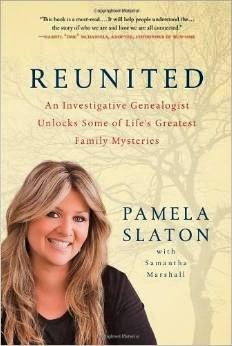 Within the pages of Reunited are adoptees who have searched fruitlessly for years; late-discovery adoptees, including McDaniels; birth parents hoping to find the children they relinquished many years earlier; siblings who have been separated for decades; children and parents learning they have been lied to; and family members found in their final days. There are joyful reconnections and painful rejections and every degree of in-between. Many of these stories unfold in far different ways than my own, yet there was something in every single one that I could relate to. 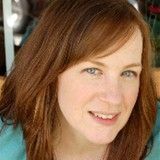 As Slaton points out, “There’s a sense of identity you get from being adopted—a worldview that’s unique.” I found it easy to empathize with each of her clients as well as with Slaton herself. Reunited reads like an anthology of perspectives on the meaning of family. Each chapter concludes with a lesson to keep in mind about the reunion journey, but an overarching theme runs through them all—as Pamela Slaton states so eloquently in the Introduction: “Searching for one’s origins means nothing less than validating one’s own existence.” Indeed.